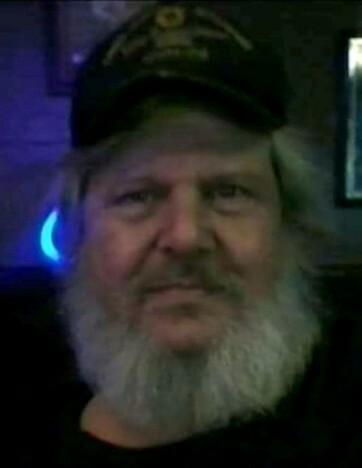 Gary Arnold Erwin Haag, 60, of St. Mary’s, Ohio, died at JTDMH at 8:35 p.m., Thursday November 22, 2018. Gary passed peacefully in his sleep on a morphine high and surround by family. There were definitely 10 different reasons for his death, but mainly living life his own way. Gary was born March 8th, 1958 at Rantoul Air Force Base, Illinois, to the late George and Clara(Brodkorb) Haag. He married his first wife, Anita Reineke the mother to 4 of his crazy children in 1978, they were then divorced sometime in the year 1990 and she survived in Wapakoneta. Additional survivors include 1 step-son and 4 daughters; Jeremy (Melissa) Becker of Wapakoneta, Ohio, Christie (Brian) Redding of Wapakoneta Ohio, Rachel (Travis) Haag of Alger, Ohio, Jennifer (Tiger) O’Daniel of Barksdale AFB, North Bossier City, Louisiana, Danialle (Zach) Grainger of Richlands, North Carolina. He is also survived by 10 Grandsons, 8 Granddaughters, 2 great-grandsons and 1 great-granddaughter! 4 brothers and 2 sisters: George A. E. Haag of Terrell, Texas, Gordan (Jan) Haag of Middletown, Ohio, Warren “Dean” (Angela) Haag of Indianapolis Indiana, and Scott “Pooh” (Leigh) Haag of Sariaya, Philippines, Chris (Dale) Nephew of Duluth Minnesota, Kathleen Sagistano of Mesquite Texas, and 14 nieces and nephews. He was preceded in death by his parents, 1 infant brother Glen Haag, 1 infant sister Vickie Haag, and 1 great grandson Abel Oda. Gary was a Blume high school dropout at the age of 17, he obtained is GED soon after, so he could join the Army. After a medical discharge he attended Hobart School of Welding and he Graduated! Whoop Whoop! He spent some time as a Trucker, driving that Big Rig. Gary also spent years making a living out of scrapping with his father. Gary was a pretty good mechanic always having leftover parts and he swears they weren’t needed. He also spent time as a paperboy. From the crab boats in Alaska to the shrimp boats in Louisiana he was a jack of all trades. There was nowhere his thumb and a prayer wouldn’t take him. He enjoyed driving his stock car at the races in Proctor, Minnesota every weekend in his younger years. Gary was an avid drinker for most his life, a lifetime love affair. He would say his greatest accomplishment was finding new ways to piss people off. This man was the biggest bull shitter that ever bullshitted. His stories go on for miles. He is loved and will be missed by many. C&C’s loft and lounge in St. Mary’s was his home away from home, his bar family, stop in and share a story about Gary with the owner Charlie and regular patrons. There will be no services, at his request of no fussing. Any monetary donations can be made towards to Schlosser Funeral Home & Cremation Services 615 N. Dixie Hwy., Wapakoneta, Ohio, 419-739-3323 to assist with the funeral costs.